It’s a brand new year! Time for new calenders, a whole new six months of putting the wrong year on everything (it takes me a while to catch up!) 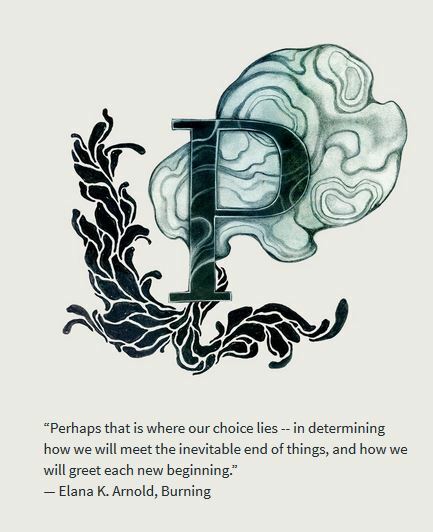 and new beginnings. 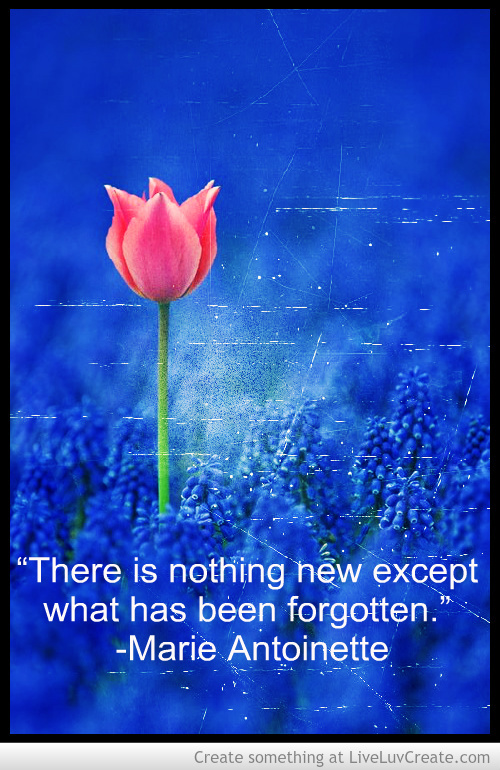 To celebrate, I’ve rounded up a few of my favorite inspirational quotes on “newness.” Call them “new quotes” if you want, although some of them were spoken by some really old folks (like in the grave for decades old). So let’s get to it and celebrate the New Year with New Quotes, or inspirational quotes about newness if you will. I love this one because it’s so true. You can never really go back to the beginning and start over. You can, however, start new right now. Put aside all the things that went wrong in the past and celebrate the New Year by deciding to change your future. First, I really love this Notegraphy site! I’ve used a few other quotes to images sites before, but I just found this one while writing up this post. Pretty cool, isn’t it? The quote speaks for itself. I am always amazed at how some of my favorite authors come up with whole new words in their novels. Now I understand why! You can’t describe something totally new without introducing entirely unique words. Poor Marie Antoinette. She was having a relatively good life, going along enjoying her elaborate parties and BAM, she lost her head. Before she lost it, though, she did say some pretty brilliant things. 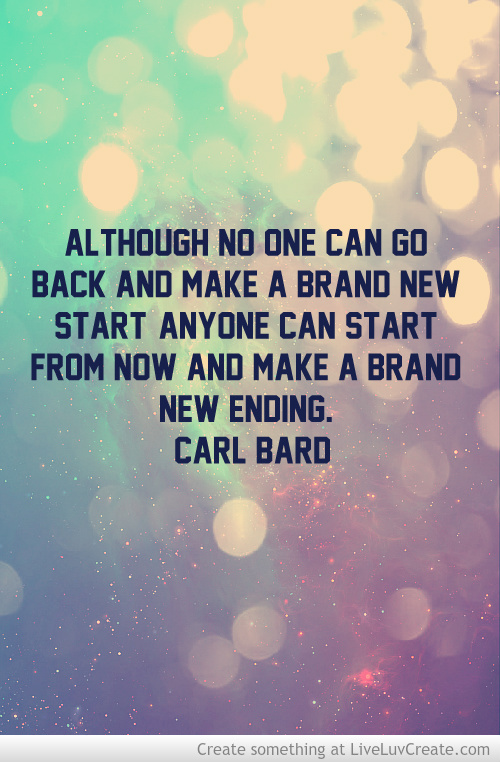 Can’t do a post with quotes about new beginnings without a quote specifically about a New Year, now can you? I love the sentiment in this one. Just think of all the wonderful new things that await us in the New Year! Looking for more great quotes? Check out my Wonderful Words board on Pinterest! These inspirational quotes will help set the tone for the new year. These quotes are just what I needed! Thank you so much! I love quotes. I used to have a notebook that I would fill with quotes that I’d find that I really liked. 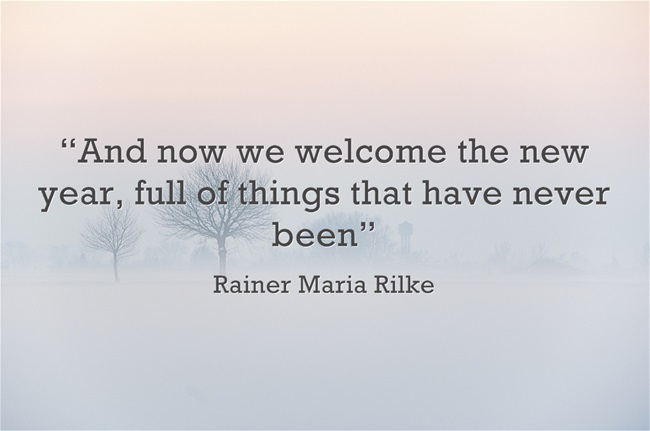 I love the Rainer Maria Rilke quote. It is perfect for this season. I feel sorry for Marie Antonietta also. She was a very intelligent woman but a product of her social class and culture, unable to feel emphaty for people she felt, were “beneath” her socially. I hope our world and time would be better but sadly there is still a lot of unfairness. Maybe this year things will start to get better. Hope you have a terrific 2014! Love all those quotes-my favorite is the one by Marie Antoinette. “There is nothing new except what has been forgotten” Which is why history keeps repeating itself! I love those quotes you’ve used, they are inspiring! Those are good quotes to help inspire us to a positive start in 2014. I am going to check out your pinterest board too. I love your first inspirational quote. It’s so true to words! I started this year off New! last year had its up and downs. That’s the great thing about a new calender, it’s a total blank slate! I do love inspirational quotes. It’s important to feed our minds with positive things. 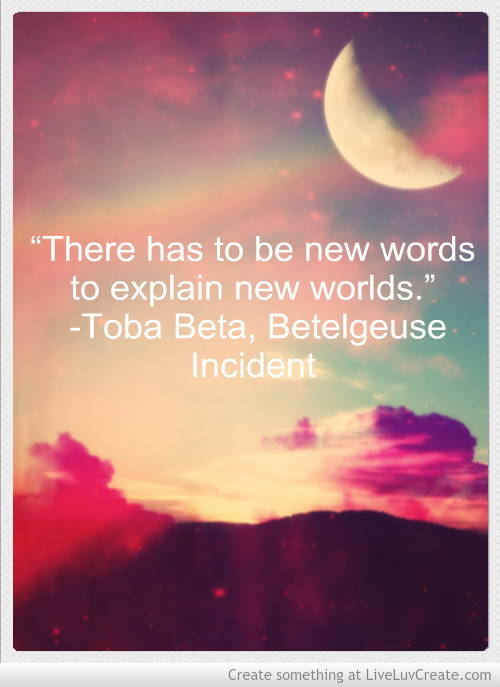 I especially love the quote about new worlds. i love inspirational quotes and the ones that make you think. Thank you for sharing these quotes, loved them! Thank you for the very nice quotes! Love reading them. Love your positive attitude! I hope 2014 is wonderful for everyone! My favorite quote is the first one. I have always said, the only person that change yourself is you. So start now and change now, b/c you can’t change back then. I love that way of thinking! I really enjoyed these quotes. I also love finding quotes to support what I want to say in writing or how I am feeling at the time. Thanks! I’m a total quote addict. I used to have a handwritten book filled with them in high school. That was before the internet, lol. Love these quotes! They are new to me! I’m always looking for great quotes and you’ve got some great ones here. and give you a shoսt out from Houston Tx! Jսst wanted to mention ҡeep up the fantastic work! What a nice quote all. The picture was also good for profile picture or avatar.